Striking a happy medium between meeting the needs of the customer, whilst fulfilling all their requirements and taking into consideration space, time and budget restrictions can often be a challenging task. Finding that delicate balance was something that Aqua Warehouse successfully managed with this Swim Spa installation project on the Essex/Suffolk border. Based on the customer’s requirements and size restrictions, Aqua Warehouse recommended the Vita Spa XSR. 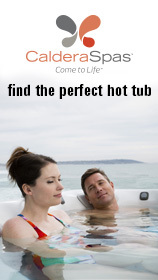 The XSR is a feature packed hybrid of a Hot Tub / Swim Spa offering seating for 7-9 people and a good sized swim area. With 70 Spa jets and six powerful swim jets the XSR can be used as a chill out hot tub or as a full aquatic exercise centre for running, rowing, aerobics as well as swimming. Shortly after the customer’s initial showroom visit, Aqua Warehouse undertook a site survey to fully prepare the customers of the work requirements needed prior to installation. Being a builder by trade, the customer carried out all the initial ground work to provide a pit suitable for the high specification of the Vita Spa XSR to be fitted. It was an important requirement of the customer to totally sink the spa for aesthetic purposes. A 5m x 3.5m pit was dug ready to be bricked up to support an enclosure decking around the top. 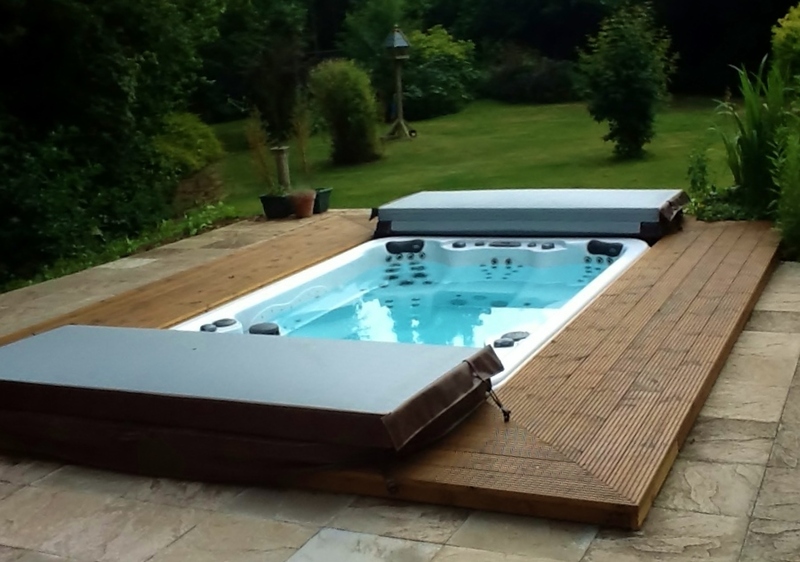 As with all Swim Spas, the spa was craned into place on the day of installation and the customer finished the surround area over the following few months.